Women just aren’t supposed to be interested in cars? What? Just had to mention that I was walking up to the store and got to see the 1963 Studebaker and a 1988 25th Anniversary Edition Avanti – all amazing. I also saw one with a bullet nose – all restored beautifully – all wonderful American innovations from another time. Tucker. And, apparently these cars live in Georgia with their owners from the North Georgia Studebaker Drivers Club. Had the chance to meet and talk with them for a little while because they had their cars a couple blocks from where I live. It was wonderful. To get to see those cars up close and personal with their owners who had restored them was a very special gift and I’m glad I saw it when I did on the way walking to the grocery. The negative part of this experience is that I only lived a couple blocks from where these Studebakers were sitting and a.) didn’t know about it, b.) didn’t have my cameras or phone with me, and c.) I’m not only too ugly to look at, but it is apparently uncommon for a woman to be interested in cars. Something is way wrong in America. I could have run back home and gotten my cameras, but then I would not have gotten to see the cars at all. One couple who live up near my parents’ house were so busy backing away that I didn’t have a chance to tell them that my blog has enough people reading along to actually tell about their club and its activities. Or maybe I did tell them that and they just didn’t want anything to do with it. That’s possible. It so happened that I had just made a 3×5 card with all my sites on it and YouTube channels, blogs, America The Beautiful Show project, and websites for cricketdiane – including the zazzle stuff – but no, I didn’t give them that even though I had it with me. I did think to offer a business card for the America the Beautiful Show and it must be the worst business card design in history – because people shun them, don’t want to take them, give them back to me, throw them away, don’t look at them and don’t want them generally. I don’t get it – or maybe its just me. I can tell when people are backing away from me and although these Studebaker owners were friendly, those folks definitely kept backing away from me. I must smell bad or look worse than they expect or talk funny or I don’t even know what. If it had been my car club and I did have someone there who lived nearby and wanted to put it on a blog (for free) to tell others about it – I’d have taken them over to get their damn cameras. Or at least said to go get the cameras and waited for them to get back to take pictures, filled their notes with all kinds of nifty details including where the next spit and polish show would be held and told about how the club was formed, about the cars in the process of restoration and all kinds of other nifty stuff. But, no. I don’t know what it is. I”m just ugly I guess. 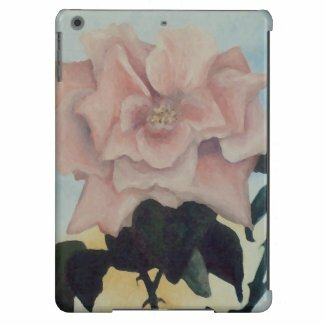 The store at zazzle has made it possible to see how a lot of artworks that I’ve been sitting with for a long time – having created them and then set them aside, actually look on products from beach bags, to shoes, to men’s ties and iPad covers. Very nifty actually. I like the skateboard deck designs best – even though they don’t look like the ones everybody else is creating for skateboards. Seems like the same designs I’m offering would be great on surfboards, snowboards and on skates and roller blades, skis and boats like SeaDoos. And, I’ve put a couple new designs on since coming home from the store and seeing the Studebakers on display. I have to say that one lady and her husband were so nice and she answered a lot of my questions about the car, although she noted that they have another one just starting the restoration process which is a 1951 Studebaker – maybe with four doors. The one they restored that was there had been from Indiana where there is a lot of salt on the roadways and hence it had a lot of rust. 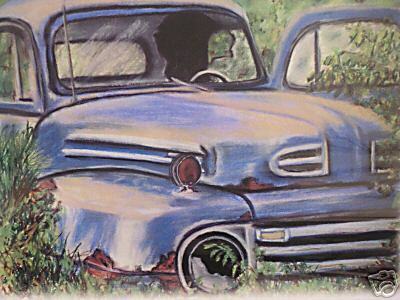 It was a 1963 Gran Turismo and was absolutely beautiful in midnight blue with the Studebaker emblems and everything – the interior had been completely redone in silvery blue original vinyl from the plant where someone bought out the last of it when the plant closed. They had someone in Knoxville do the interior upholstery. The dash had the walnut hand-polished burled and elegant, the steering wheel gear shift stick has what looks like the original ivory nobs on it as did the turn signal indicator stick. There was a tiny ashtray in between the front seats and the backseat had the original style ivory pinhole vinyl on the sidestruts by the windows. On the back of the trunk, the owners, Bill and Charlotte, had made the aluminum Studebaker placard polished – which was a rare feature for cars at that time (to incorporate aluminum design elements into the outside features.) Its very beautiful and they’ve done stunning work on it. But, Charlotte also designed the t-shirts for the N.Ga Studebaker Drivers’ Club and seeing them made me really wish she had designed my business cards. Very fun – and the design even had a Studebaker in it along with some of the places where the club can be found. Well, aside from not knowing who I’m with – to be able to answer that question when asked by someone at a situation like I experienced today with the Studebakers owners’ club, and only essentially being with myself as cricketdiane – which really doesn’t lend itself to be a good answer, apparently – I had lots of fun looking at the cars and admiring the work that has been put into them. The American innovations displayed in the Studebakers is absolutely worth seeing and if anyone ever gets a chance to see them or get up close to them, they should. And, don’t let them put down the hood before seeing inside that amazing engine block – truly stunning. And, I want to say it was disappointing to hear that the next time these cars will be nearby where I can walk up to see them – will be next year and several times that I asked who I would need to talk into bringing them back sooner – it was made clear that it isn’t really a possibility. So, I’m going to say it right now – if you have a car club in Georgia or just about any other nifty thing like that – motorcycles, horses, antique goodies – or just a club you want people to know about – come up the street from where I live and I will take pictures, put it online and tell people about it. And, don’t expect me to look wonderful and pretty and professional and all that – cause I don’t. And, I don’t dress well either . . .
Just ignore that part and I’ll ignore it when you act stuck up about me not looking just right or dressing just right or smelling just right or talking about the right things the right way to be an American woman . . .
Aw – go to hell – it wasn’t the folks from Calhoun that were stuck up – it was the ones who live around here – figures. And, worse than that – I think I know them. and before somebody says – I don’t get it – what is that? 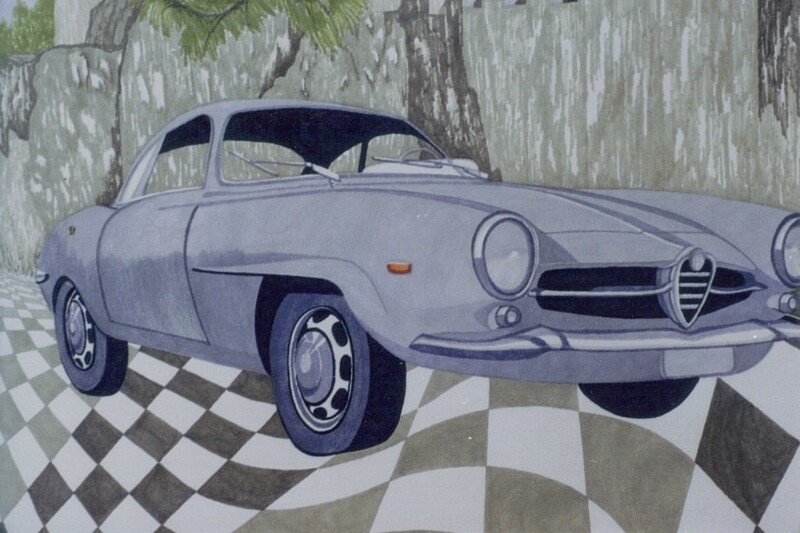 And that is a watercolor and ink of an Alfa Romeo – there are a couple pencil drawings of it I’ve done, too. You just have to see this – I changed the way CricketDiane new site looks. Now, if I can get more of the information in it from this blog’s 2000 plus posts and from my computers and external drive, flash drives and backup cds – I’ll have it. I don’t know if anyone know this but there is a new blog I started for the America the Beautiful Show project – also on wordpress. Maybe – it would be fun to add some more to the galleries on the CricketDiane site – there are 15 separate galleries right now with images of art that I’ve done. It isn’t obvious yet on the website that no one can actually buy the original artworks. I have to fix that. Only the rights to use the images are available for people to put on stuff like 50,000 dishtowels to resell. We’ll see. There has to be a better way to convey that. If you ever want to say something to me, although I’m usually asleep during the day and work at night – it is easiest to find me in real time on twitter at the America the Beautiful Show account. Sort of standing in for a partial inventory – there is a more comprehensive list or two sitting around here somewhere in a file folder. And, of course – there’s more . . .
Gotta have a real sense of humor to deal with trying to get this into the public marketplace and whatever opportunities may exist there. It is a little daunting and a lot perplexing to say the least. That is a new term. I just made it up. I bet somebody already had occasion to consider it and use it with a string of cuss words which it seriously needs . . . It is sad to turn off the internet, the cable and close the stores. I’m going to keep the America the Beautiful Sites running for the month of April but then, either I find the money to keep them going or I will have to close them down, too. Anyway, as a consequence of shutting down the internet tomorrow and the cable which I’ve been using for the news, for research and the various blogs, twitters, stores and America the Beautiful Show project, I won’t be writing here or on the twitter – probably most of the rest of the year, except occasionally when I can go find an internet opportunity. It irks me that I’ve failed to make any money with it and it irks me even more to know that I have failed generally to make it work, despite my best efforts. In each month, I have been taking about half of the money available to me from my disability check to pay for it and doing without other things. I thought it would be a way to make my living from it someway instead of living on charity. But, it didn’t work that way. Apparently, I’m a moron in every sense of the word and I just have to accept that me and making money simply does not go together. It never has worked and after I don’t know how long – of trying in every way I know how, it just has to stop so I can pay my bills. In fact, it is honest to say – I could’ve just stayed drunk the entire last three or four years rather than doing this and been better off for it. I wouldn’t have spent near as much money or worked anywhere near what I have to end up with the same things out of it – which is to be broke, poor, desolate, alone and without success at making money. Earlier today, I had read three articles from the Harvard Business School blog about turning failures into success and for about three hours, I worked on that idea again when suddenly I realized that if it was going to work – it would have worked a long time ago. And, it simply doesn’t. What I offer has no value in my family nor from my hands and mind when I come into the marketplace with it. And, that is my fault. I just don’t get it. The products and knowledge I have created, designed, invented or researched and put together are not going to get me one dime of the $421 a month that I’m spending each and every month just to be online and host a couple stores and a couple sites for the America the Beautiful Show. It doesn’t cover its own costs and now I have got to cover my own – or end up homeless. So, I’ve closed the stores a few minutes ago and in the morning after the sun comes up – I’m calling to suspend the internet and cable before they charge me again and I already owe them about $400 as it is. They can come get their equipment. Apparently I don’t need it to continue doing what isn’t working and has never worked. There has not been one job to come from it, not one sale, not one opportunity for writing for anyone or investor for anything I’m doing – and unfortunately, not one advertiser or sponsor either. Even the America the Beautiful Show sites have no sponsors, neither do the NYC walkabout blogs – the stores and auctions didn’t sell anything and I paid handsomely for those listings to be made and the things I interacted with people on craigslist about – were a complete waste of time. If I had paid someone $20 to come take them off my hands, they might have considered coming to my apartment or meeting me somewhere for the nintendo stuff I have – and I wouldn’t pay them and they didn’t want to pay me – so it is still here. It has not been a fruitful exercise. Oh well. Neither have the other businesses I’ve started over the years. It seems like I know a lot about it and can’t do anything right with it. But, it hasn’t been for a lack of trying and stickto-itiveness. But, it never has come close to breaking even and I know damn good and well that there will not be the opportunities to get some business loan or investors for it anyway. The few times I’ve interacted with that in the last few years, have been a disaster and produced not one single dime. Just like trying to get sponsors for the America the Beautiful Show websites – not one single yes out of three hundred emails sent out and multiple online applications to large corporations. I doubt they ever even saw any of it. I didn’t get past the little screening companies they are using. I hate to say that I’ve failed. But, there you go. Thanks for reading. The information will be here on the blog until whenever they start charging for it. And, I guess at some point, I’ll find an internet wifi spot or something and post a note on the blog again, but I won’t be able to do the research and news stuff I’ve been doing with it or the brain zaps. I hate that. It will remind me that I am lonely again. I really liked participating in a greater world and bringing solutions and research to the table. I hated that more people didn’t ever see any of it and never even considered using my solutions for paying off the national debt and fixing the budget without having to cut all these programs that are already in place. There are millions of dollars given to other things and other people who haven’t offered one solution that works – but I suppose they are more entertaining and stir people up more or something. Maybe they just understand people better than I do or had more sense about making the arrangements to get paid which I can’t seem to do. I don’t know. It is a wonder. WASHINGTON—U.S. Commerce Secretary Gary Locke announced today his plans to create a new Office of Innovation and Entrepreneurship within the Department of Commerce and launch a National Advisory Council on Innovation and Entrepreneurship. Both substantial new initiatives will help leverage the entire federal government on behalf of promoting entrepreneurship in America. The new office is expected to announce additional initiatives in the coming months. The new Office of Innovation and Entrepreneurship, which will answer directly to the secretary, will be geared toward the first step in the business cycle: moving an idea from someone’s imagination, or from a research lab, into a business plan. The National Advisory Council on Innovation and Entrepreneurship will advise the Commerce Department on policy relating to building small businesses and help to keep the department engaged in a regular dialogue with the entrepreneurship and small business communities. The council is expected to be comprised of successful entrepreneurs, innovators, investors, non-profit leaders and other experts. The Obama Administration is committed to helping America’s entrepreneurs succeed, evidenced by its efforts to free up credit markets, unprecedented investments in America’s physical and intellectual infrastructure, and variety of tax credits and other incentives to help foster promising industries like renewable energy and smart grid technologies. Working toward the Obama Administration’s vision, the Department of Commerce will lead the effort to encourage high-growth entrepreneurship through these new initiatives, among others. The National Advisory Council on Innovation and Entrepreneurship will advise Locke and the administration on key issues relating to innovation and entrepreneurship. The council will include successful entrepreneurs, innovators, angel investors, venture capitalists, non-profit leaders and other experts who will identify and recommend solutions to issues critical to the creation and development of entrepreneurship ecosystems that will generate new businesses and jobs. It will also serve as a vehicle for ongoing dialogue with the entrepreneurship community and other stakeholders. The Department of Defense (DoD) SBIR and STTR programs fund a billion dollars each year in early-stage R&D projects at small technology companies — projects that serve a DoD need and have commercial applications. The SBIR Program provides up to $850,000 in early-stage R&D funding directly to small technology companies (or individual entrepreneurs who form a company). The STTR Program provides up to $850,000 in early-stage R&D funding directly to small companies working cooperatively with researchers at universities and other research institutions. Small companies retain the intellectual property rights to technologies they develop under these programs. Funding is awarded competitively, but the process is streamlined and user-friendly. Learn more by going to Overview and other sections. Also visit our Resource Center at www.dodsbir.net. August 3 , 2009: DoD SBIR National Beyond Phase II invitation from Undersecretary Carter. SBIR 2009.3 Solicitation is in pre-release. The solicitation will be open to proposal submission from August 24, 2009 at 6AM ET through September 23, 2009 6AM ET. STTR 2009.B Solicitation is in pre-release. The solicitation will be open to proposal submission from August 24, 2009 at 6AM ET through September 23, 2009 6AM ET. SBIR 2009.3 Solicitation is open to proposal submission. The solicitation will close to proposal submission on September 23, 2009 at 6AM ET. STTR 2009.B Solicitation is open to proposal submission. The solicitation will close to proposal submission on September 23, 2009 at 6AM EST. SBIR 2009.3 Solicitation closed to proposal submission on September 23, 2009 at 6AM ET. STTR 2009.B Solicitation closed to proposal submission on September 23, 2009 at 6AM ET. SBIR Tutorial introduces you to the DoD SBIR/STTR programs and shows you step-by-step how to prepare and submit a proposal. Contact the SBIR/STTR Help Desk by telephone 866-SBIRHLP ( 866-72… ) or Email. If you have suggest for improving these programs? Email us. If you wish to be notified via email of future DoD SBIR/STTR solicitations and events, subscribe to our listserv. (KANSAS CITY, Mo.) March 12, 2008 — Understanding the characteristics of new business formation and sustainability can help lead to policies that encourage entrepreneurial businesses, which are a major driver of economic growth. A new report released today by the Ewing Marion Kauffman Foundation fills a gap in the study of entrepreneurship. As the largest longitudinal study of new businesses ever conducted, the Kauffman Firm Survey (KFS) follows nearly 5,000 businesses founded in 2004 and tracks them over their early years of operation. According to Kauffman researchers, the data provide a unique opportunity to study a panel of new businesses from start-up to sustainability or closure. Data are being collected annually from the same firms, centering on the topics of debt and equity financing, employee benefits, business innovations and outcomes such as sales and profits. In addition, detailed data are collected on the characteristics of business owners. A little more than 2 percent of businesses reported owning patents during their first year of operation, while nearly 9 percent reported having copyrights. The percent of businesses with patents and copyrights was much higher for businesses that were considered to be high tech, at 4 percent and 11 percent, respectively. About the same percentage of businesses had trademarks (13.5 percent), regardless of their tech status. More than a third of businesses (37 percent) had no revenue in their first year of operation. About 45 percent of businesses in the KFS experienced a profit during their first year, compared with about 55 percent of businesses that experienced a loss in their first year. About 17 percent of businesses had profits in excess of $100,000. The vast majority of equity invested came from the business owners themselves. Just 10 percent of the businesses in the KFS used external equity sources in their first year. Parents were the most common source of external equity (3.4 percent), while spouses provided equity to 1.6 percent of businesses. Non-family informal investors and venture capitalists were used very infrequently (2.7 percent and 0.6 percent, respectively). Nearly 70 percent of businesses in the KFS data were owned by men and just over 30 percent were owned by women. Whites owned more than 81 percent of the businesses, while blacks owned 9 percent, Asians owned 4 percent, and the remaining 5 percent were owned by Native Americans, Pacific Islanders and individuals of other racial groups. About 6.6 percent of the businesses were owned by Hispanics. According to Alicia Robb, principal investigator on the KFS, as additional years are added to the study, the data will allow researchers to investigate ongoing financial infusions, changes in strategy and innovation, and survival and growth. “Many important topics can be investigated, including the determinants of business growth and survival, as well as the roles that financial and human capital play in business outcomes,” said Robb. An American military spokesman in Iraq identified “Abu al-Masri” as the likely successor to Abu Musab Zarqawi after Zarqawi was killed on June 7, 2006. Military officials later confirmed he is the same as Abu Ayyub al-Masri, a most-wanted terrorist in Iraq for over a year. On Feb. 11, 2005, U.S. Central Command announced the Iraqi government had issued a warrant for his arrest, and the U.S. government initially offered a reward of $50,000 for information leading to his capture. The reward was later raised to $5 million. He is the last remaining original member of the Mujahideen Shura Council. He has manufactured explosives in Iraq, particularly car and truck bombs. He has also helped foreign fighters move from Syria to Baghdad, and oversaw al-Qaeda’s activities in southern Iraq. He also arranged meetings between Zarqawi and Ansar al-Islam commander Umar Baziyani. He probably came into Iraq in 2002, before Zarqawi’s arrival, and may have helped establish the first al-Qaeda cell in the Baghdad area. He was believed to have fled Fallujah during the U.S.-led offensive into the city, Operation al-Fajr, which started on Nov. 8, 2004. He first went to Afghanistan in 1999. He trained and lectured other militants. He is believed to have met Zarqawi at the al-Farouk camp in Afgahnistan in 2001 or 2002. As of June 2006, he has had recent communications with Ayman al-Zawahiri. Shortly following Zarqawi’s death, militant web sites identified Abu Hamza al-Muhajer as the successor to Zarqawi. Military officials say the believe he is the same as Abu Ayyub al-Masri. Al-Muhajer means ‘the immigrant’ – possibly an attempt to make a non-Iraqi more palatable to Iraqis in the insurgency. Abu Ayyub al-Masri was reported killed around Oct. 3, 2006, and again around May 1, 2007. Al-Qaida denied he was killed, and U.S. authorities have not confirmed his death. 1 U.S. Maj. Gen. William Caldwell, spokesman, Multinational Force Iraq, during a press briefing on June 8, 2006. 2 U.S. Central Command press release, ‘Iraqi Interim Government announces arrest warrants, award information.’ Feb. 11, 2005. 3 Caldwell, press briefing, June 9, 2006. 4 Caldwell, press briefing, June 15, 2006. 5 Rewards for Justice page. * Does he wear clothes or fabrics of a certain kind? They aren’t out there weaving them. Do they have a particular kind of video equipment or need supplies or repair supplies for them? Are they buying them online? There are a limited number of places that sell those or ship them into that area. There are a very limited number of shipping into the area points for that mail – its not like the US mail going out to every house. * Considering – is there a particular mosque or temple who would house him and his leadership or make connections possible for them? * Any chance he is inclined to demand Egyptian cotton sheets with a 3000 threadcount because of his lifestyle before adulthood? There is something he demands on having for himself that is unusual and particular to him. He has four wives and a number of children. Those wives can’t work – he must support them and their children. He must continually prove his virility or the bastards around him might kill him thinking he has become weak. That is a possibility – to create the “bulls fighting” syndrome” – it still is true that the pack mentality of a tribe involving men will revert to those primal instincts regardless of how educated, technologically sophisticated or religious they may be. * Challenge the virility of the man through information or prove that he has broken Sharia law and the people around him will fix that situation themselves. * Also, I noted in my research which is incomplete, at best – that there is a propensity for Al Qaeda and the Osama bin Laden structures that involve him, to be triumvirate. There are three and one is a finance guy / financial structure. Right now, the financial guy appears to be hidden and the money flows having been stopped previously in some operations, that money is still flowing the direction into their hands from somewhere through some set of systems, banks, businesses, people, leadership person. * It is necessary for them to have funds and resources – they all have to support their wives and children along with the continuing efforts involving their operations. It is coming from somewhere and that could be found with a renewed overview specifically looking for it. Those funding sources need to be stopped. They aren’t manufacturing ammunition right there – whether bullets or parts of whatever else, from diesel fuel to certain foodstuffs. 14. foaming soap, soap bubbles could be used against Taliban camps or area villages where there are women and children they are hiding among. It would change the possibilities of going into the area and keeping civilians safe while disabling Taliban members, their weapons and their abilities. 15. Take all women and children to Kabul and get them out of the action entirely in a massive campaign to ensure their safety. If I think of anything else, I’ll add it. I was going to put some of the research that I had done, but it is over a thousand pages and probably is not anything that is already known anyway, but maybe. On May 5, the third phase of the operation started as troops stormed the militant-held valley of Swat. The name of this sub-operation of Black Thunderstorm has been referred to as Operation Rah e Raast in Urdu (the name of the whole operation is Rahe Rast never was Thunderstorm!!). In more than a month of fighting, by June 15, 106 soldiers and 1,040 militants were killed. Militant fighters were holed up in the emerald mines and in the main town of Swat district, Mingora. The mines were secured by the Army by May 7, but the militants were still holding their positions in Mingora and on a strategic hilltop overlooking the town. Meanwhile, on May 7, in Lower Dir, which was previously declared clear of the Taliban by the military, militants overran a paramilitary fort killing three paramilitary soldiers and capturing 10 policemen. On May 10, troops attacked a Taliban training camp at Banai Baba in Shangla district, which is just east from Swat. In the fighting at Banai Baba the military reported killing 150 militants for the loss of two soldiers. At the same time as the fighting in Shangla, some sporadic fighting was still continuing in Lower Dir where, over four days, 109 more militants were killed. Also, further west, in the Mohmand agency, a group of 300 militants attacked a military outpost, in the fighting that ensued 26 militants were killed and 14 soldiers were wounded. On May 12, Pakistani commandos were inserted by helicopters into the Piochar area, a rear-support base for the militants, in the northern part of the Swat valley to conduct search-and-destroy operations. By May 15, the Army claimed that Buner was finally completely cleared of Taliban forces, however artillery bombardment of Taliban positions in the hills was still ongoing. Harkat-ul-Jihad-al-Islami (Arabic: حركة الجهاد الإسلامي‎, meaning The Islamic Struggle Movement) (HuJI) is a Sunni Islamic fundamentalist paramilitary organization most active in South Asian countries of Pakistan, Bangladesh and India since the early 1990s. It was banned in Bangladesh in 2005. HuJI or HJI was formed in 1984 by Fazalur Rehman Khalil and Qari Saifullah Akhtar, as the first Pakistan-based jihadist outfit, during the Soviet-Afghan War. Khalil later broke away to form his own group Harkat-ul-Ansar (HuA), which later emerged as the most feared militant organization in Kashmir. This group would later re-form as Harkat-ul-Mujahideen (HuM), when HuA was banned by the United States in 1997. HuJI first limited its operations in Afghanistan to defeating the Communists, but after the Soviets retreated, the organization exported jihad to the Indian state of Jammu and Kashmir under the patronage of ISI and the Pakistani establishment. HuJI’s footprint was extended to Bangladesh when the Bangladesh unit was established in 1992, with direct assistance from Osama bin Laden. HuJI, along with other terrorist organizations such as Lashkar-e-Toiba (LeT), HuM, and Jaish-e-Mohammed (JeM) emerged from the same source, and therefore had similar motivations and goals. However, HuJI and HuM were both strongly backed by the Taliban, and therefore the group professed Taliban-style fundamentalist Islam. HuJI espoused a Pan-Islamic ideology, but it believed in violent means to liberate Kashmir and make it a part of Pakistan. The group recruited some of its cadres from the Deobandi madrassas of the North-West Frontier Province, however the ethnic composition changed when the recruitment also began from Azad Kashmir, Punjab and Karachi. Most of the recruits were jobless youths, who were searching for some meaning in their lives. Most of the inductions were done by the roaming jihadist cells, who lured the teenagers to so-called religious sermons imbued with the spirit of jihad, from where the process of induction began. Unlike LeT, HuJI did not require its cadres to go through religious education, rather the recruits proceeded to military training in the camps located in Afghanistan and Azad Kashmir. In September 1995, the group’s connection with Islamist elements in Pakistan Army when group’s leader Saifullah Akhtar was implicated in the right-wing coup plot. A customs guard inspection of a car outside Kohat revealed a huge arms cache hidden in the back. Subsequent investigations unearthed huge a conspiracy. Those weapons were directed to Islamist Army officers, Major General Zahirul Islam Abbasi, and Brigadier Mustansar Billah, who had plans to first overthrow the-then Army leadership at the next corps commander meeting and then bring Islamic revolution in the country by taking down the Benazir Bhutto government. Both generals conspired to eliminate the top military and civilian leadership and establish an ‘Islamic dictatorship’ in the country. After the group established its Bangladesh wing, the operations in Bangladesh increased, with the major source of recruitment coming from the Islamic madrassas. The training for these recruits was given in the hilly areas of Chittagong and Cox’s Bazaar. Later on, members of the group made an attempt on the life of Shamsur Rahman, the liberal poet in January 1999. Committed to establishing an Islamic rule, HuJI was the prime suspect in a scheme to assassinate the Prime Minister of Bangladesh Sheikh Hasina in the year 2000, and has been blamed for a number of bombings in 2005. In October 2005, it was officially banned by the government of Bangladesh. In April 2006, the state police Special Task Force in India uncovered a plot hatched by six HuJI terrorists, including the mastermind behind the 2006 Varanasi bombings, involving the destruction of two Hindu temples in the Indian city of Varanasi. Maps of their plans were recovered during their arrest. Pakistani passports had been in the possession of the arrested. 2003 India Role in Assassination of the former Gujarat Home Minister Haren Pandya. ^ a b c d Frontline Pakistan: The Struggle with Militant Islam by Zahid Hussain, Columbia University Press, 2007, page 71. ^ Frontline Pakistan: The Struggle with Militant Islam by Zahid Hussain, Columbia University Press, 2007, page 52. ^ Frontline Pakistan: The Struggle with Militant Islam by Zahid Hussain, Columbia University Press, 2007, page 72. Zahid Hussain. Frontline Pakistan: The Struggle with Militant Islam, New York: Columbia University Press, 2007. Hassan Abbas. Pakistan’s Drift Into Extremism: Allah, then Army, and America’s War Terror, M.E. Sharpe, 2004. After Libyan intelligence operatives were charged with the Lockerbie bombing, Gaddafi tried to distance himself from terrorism. He expelled Abu Nidal, who returned to Iraq where he had planned his first terrorist attack 26 years earlier. The Iraqi government later said Abu Nidal had entered the country using a fake Yemeni passport and was not there with their knowledge, but by 2001, at the latest, he was living there openly, and in defiance of the Jordanian government, whose state security court had sentenced him to death in absentia in 2001 for his role in the 1994 assassination of a Jordanian diplomat in Beirut. On August 19, 2002, al-Ayyam, the official newspaper of the Palestinian Authority, reported that Abu Nidal had died three days earlier of multiple gunshot wounds in his home in the wealthy al-Masbah neighborhood of al-Jadriyah, Baghdad, where he had lived in a villa owned by the Mukhabarat, the Iraqi secret service.